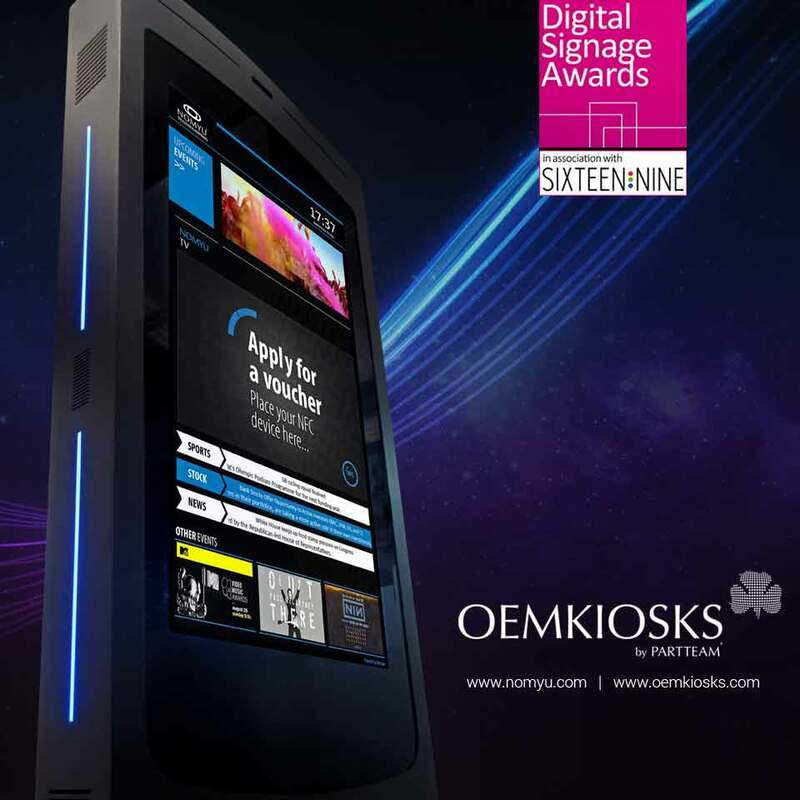 PARTTEAM & OEMKIOSKS is among the finalists of the Digital Signage Awards 2018, a competition organized by DOOHDAS, in the Multimedia Interactive Equipments - Music, Sports and Entertainment category. On the list of finalists and competing for the final award, are important representatives of the digital signage and technology industry, for example: JCDecaux, ClearChannel, NEC Display, Advanced, among others. The winners will be announced on February 7, following the last session of the Digital Signage Summit at the ISE 2018, fair in Amsterdam, where PARTTEAM & OEMKIOSKS will be present. Miguel Soares adds: "If PARTTEAM & OEMKIOSKS is successful, it will bring to Portugal another international award, with global notoriety. We are traveling a path that establishes a point of reference and success in the digital signage and technology industry." We are proud to represent Portugal in this international competition, which aims to reward the best digital signage, creativity, technology and content project in the world ! The Portuguese company PARTTEAM & OEMKIOSKS is a worldwide reference in the development and manufacture of multimedia kiosks, self-service equipment, digital billboards, interactive tables and other digital solutions for all types of sectors and industries. With more than 19 years of experience, more than 12500 units produced, for more than 50 different countries, our portfolio is vast. PARTTEAM & OEMKIOSKS has more than 100 standard models and works with the best brands and companies.